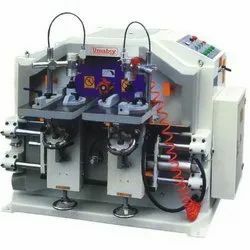 Providing you the best range of u 1013 double automatic tenoning machines with effective & timely delivery. We are the leading and prominent Manufacturer of U 1013 Double Automatic Tenoning Machines. Adjustable tenoning width table tills 200. Movable table to save time and speed can be variable adjustment.